Queen – Bohemian Rhapsody, seen as the best Queen show in Australia if not the world, is bringing to Australia their new show, The Greatest Hits Tour. Thomas with his hot band Bohemian Rhapsody bring back to life the visual excitement, sound and stage energy as witnessed at a Queen concert. 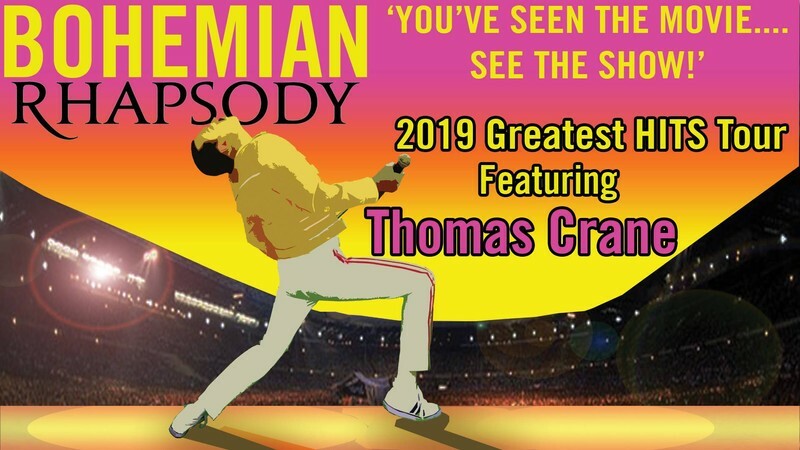 Queen – Bohemian Rhapsody will perform all the great hits like 'We Will Rock You', 'Crazy Little Thing Called Love', 'We Are The Champions', 'Radio Ga Ga', 'A Kind of Magic', 'I Want To Break Free', 'Another One Bites the Dust', 'Bohemian Rhapsody'. "You've seen the movie...see the show!"